Actually, I made another one last summer, but never got around to blogging about it. Although I did tweet about it. 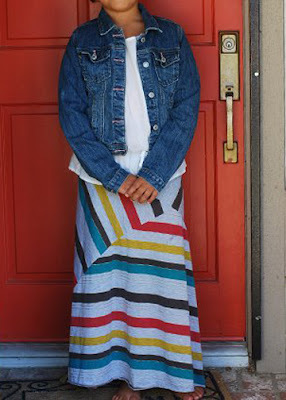 She is a comfort first dresser, so this maxi works perfect for my little barefoot bohemian girl. You can click on the pic to enlarge or print it out. Note the green grainlines are for lining up your stripes. It's important to pay attention to the stripe direction, because that's what makes the skirt so interesting and flattering. Also, be sure to add seam allowances to the cut pieces. The measurements shown in the illustration do not include seam allowances. I love this design! The stripes going in different directions is unique and fun! Thanks for the diagram of the pieces! I did a little maxi dress series and would love if you linked up your dress! This is a great design! Good matching job on the stripes. I'm impressed! 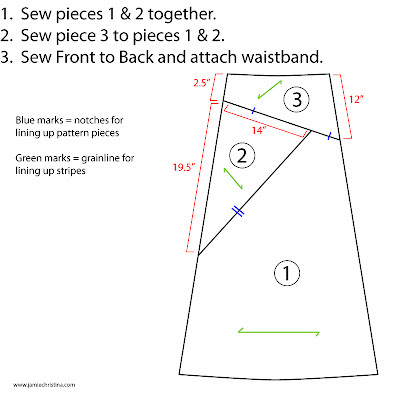 The diagram for how the pieces fit together is great, but I'm kind of at a loss for how to cut the fabric. Help! This is a great pattern. However, how does one adjust for size, especially larger sizes? Crownglass - Follow the green grainlines on the diagram for fabric cutting. The stripes should go in the direction of the green grainlines. As for size, I would recommend only adjusting the 14" mark on piece #2. I would increase or decrease the width by approximately 1" to 2". Hi Misty! I purchased the fabric from a little shop in the garment district (LA). It was something like a $1.00/yd. Crazy! I don't remember the name of the shop. What size does the pattern "officially" make? Seems easy enough to adjust but I'm not sure what I'm starting with. Hi Lisa! You can use these measurements for pretty much any size. 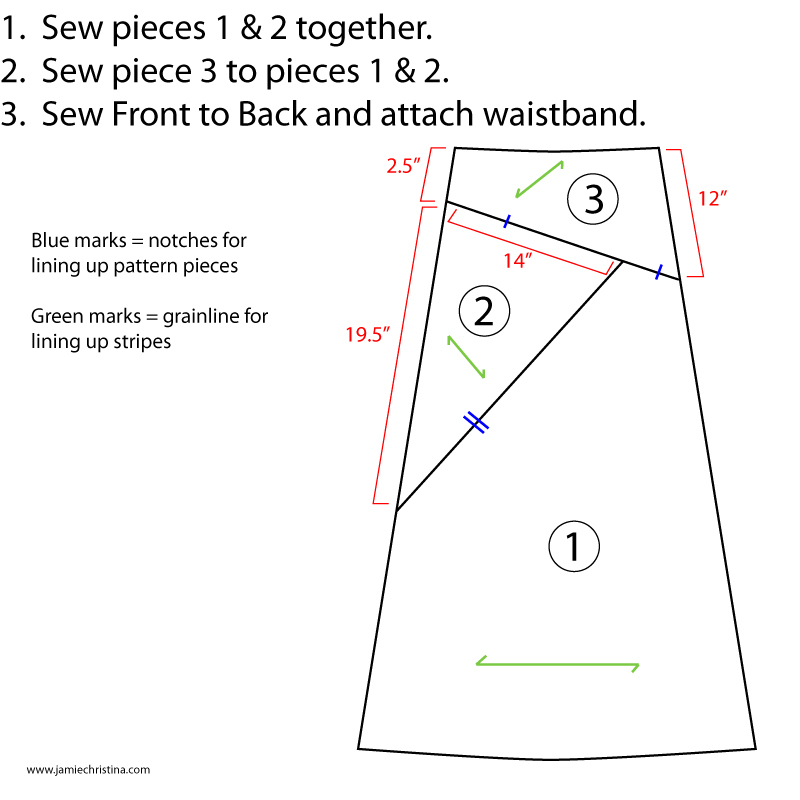 This is not a pattern, but instead it's a tutorial for how to change a maxi skirt pattern you may already have. 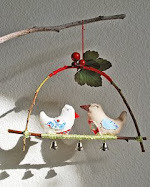 I would love to make one of these. I'm not sure I could do it though even if I had the material. Its really great looking and full looking too. How do you get it to be full and not figure forming? I shared this. 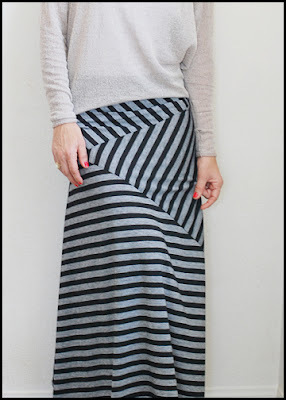 Thanks for the tutorial, I made my striped maxi today! I'm going to make my daughter a matching dress with the leftover fabric:) Love it!! So, to make the back of the skirt look good on the side seams, one needs to make the front and back mirror images? Lyn - Yes you are correct. Just mirror the front. Hello there! Thanks for commenting. I usually respond to comments in the comment section because Blogger doesn't give me your email address. Have a great day! I do not know why I am having such a hard time visualizing this! But... for the back do you reverse it or cut it the same way as the front? Thanks and sorry for my dumbness! What's up, well put together web-site you have there.